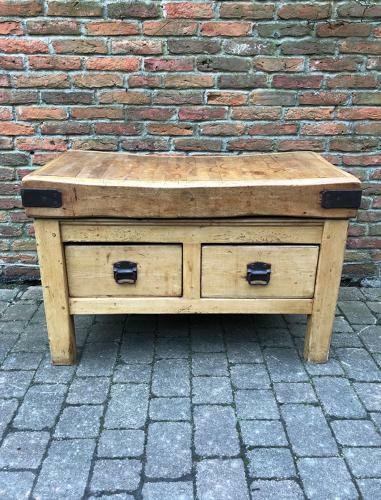 Victorian 4' x 2' Maple Butchers Block on its Original Pine Double Drawer Base. The base has panelled ends and both sides are identical so Butchers could work from each side. Would work well therefore centrally in a kitchen or of course against a wall. Original corner brackets on the block, original cast iron handles on the drawers. Good sturdy and level. You dont find these early ones often. Collection or Courier UK £55.